I recently came into fifty pounds of green coffee beans and decided to try roasting some at home. Here we go. 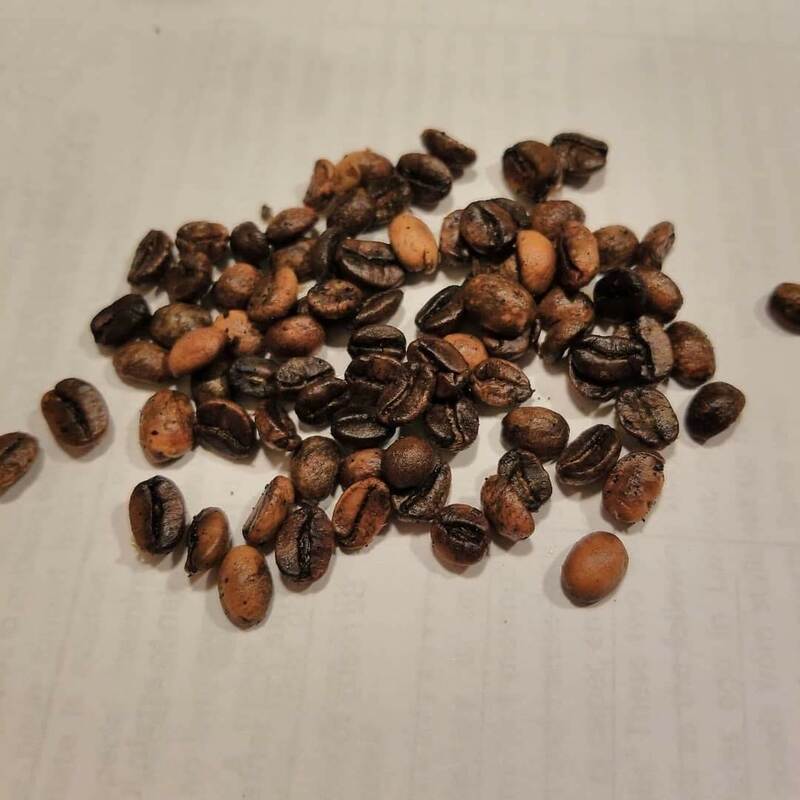 Green coffee beans, origin unknown. 8" square cast iron pan. Preheated the pan for several minutes on my stove's second to lowest setting. Stirred constantly with wooden spatula. Stirred using a back and forth, up and down pattern. Tried to get the beans to flip over by pushing them up the sides of the pan. Heard a crack at the 15 minute mark. Temperature of the pan 250 degrees Celsius. Took beans out of the pan at the 23 minute mark because they had a nice brown color. Put into a small glass dish. Temperature of the beans out of the pan was 150 degrees Celsius. 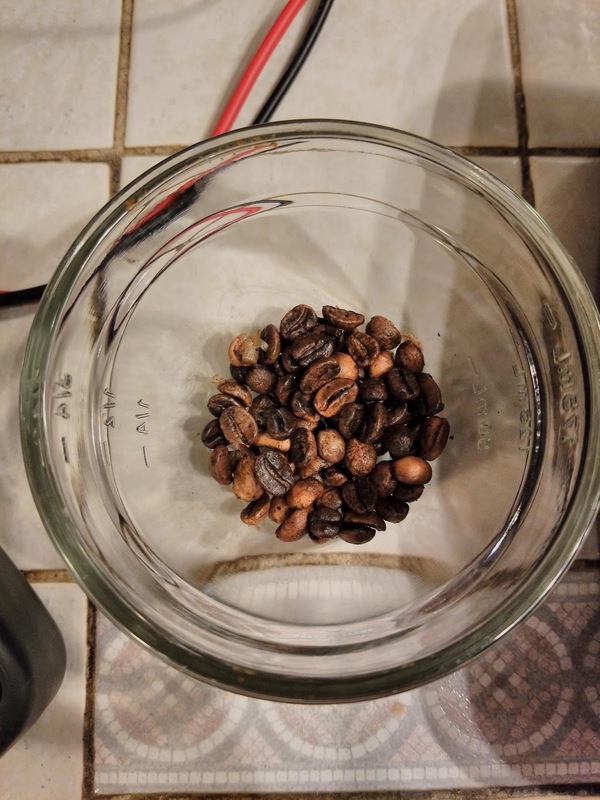 Left roasted beans uncovered at room temperature on the counter. 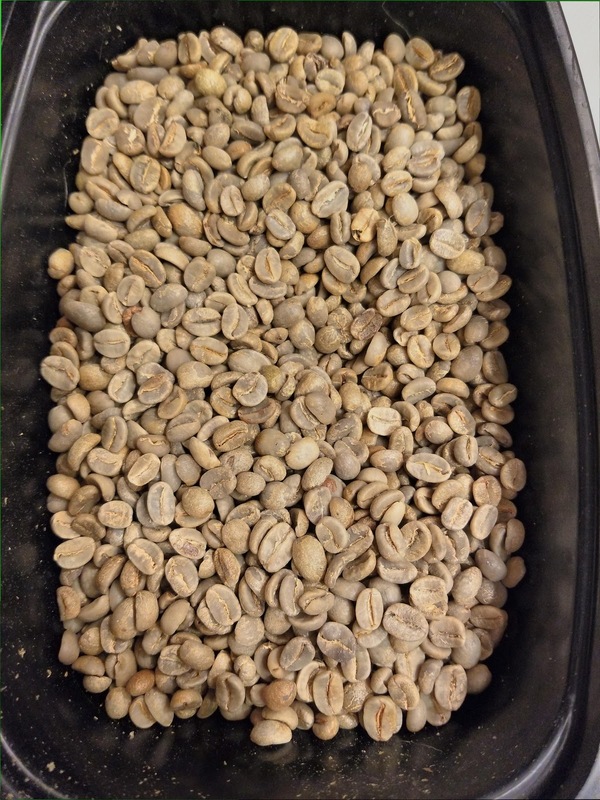 Weight of the beans post-roasting 11g.